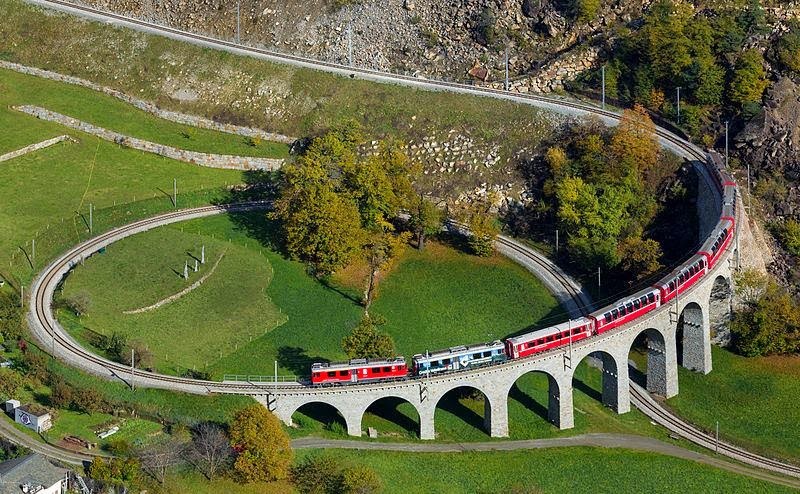 The Brusio spiral viaduct is a single-track nine-arched stone spiral railway viaduct. 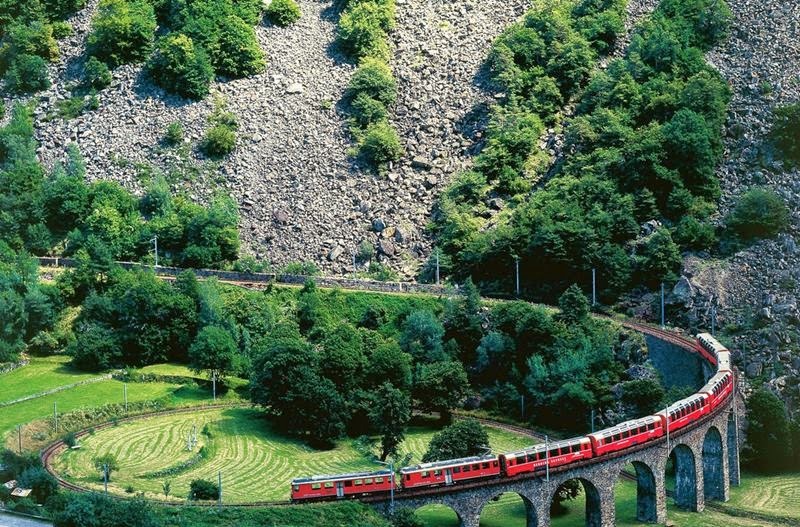 A signature structure of the World Heritage-listed Bernina railway, it is located near Brusio, in the Canton of Graubünden, Switzerland, and was built to limit the railway's gradient at that location within its specified maximum of 7%. 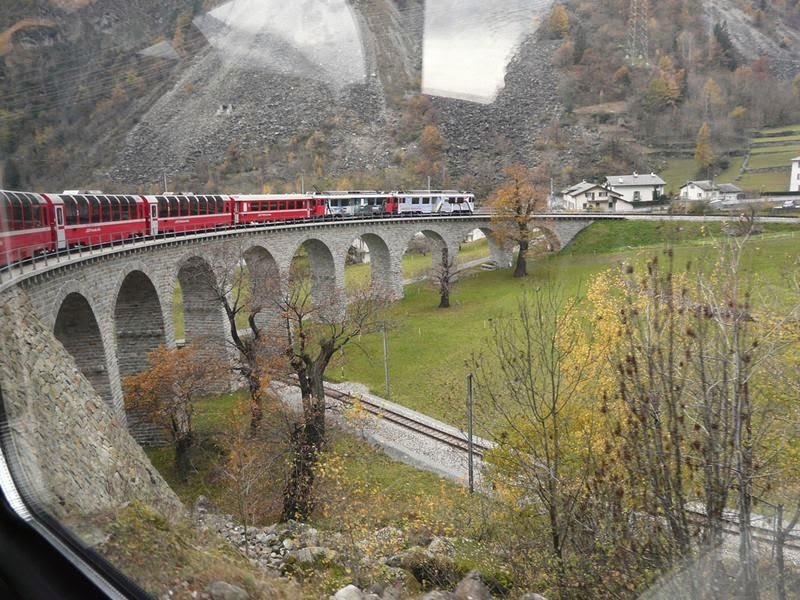 The Brusio spiral viaduct forms part of the Bernina Railway section between Brusio and Campascio. 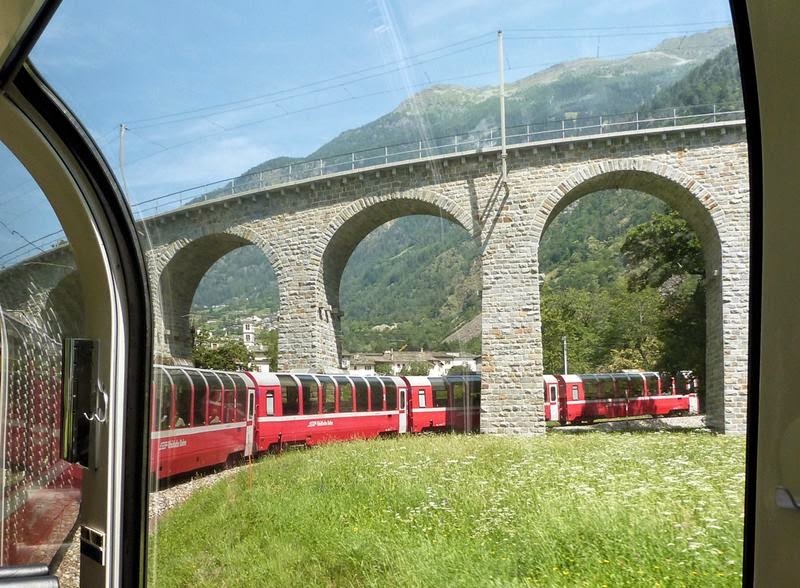 It is just south of Brusio, and approximately 54 kilometres (34 mi) from St. Moritz. 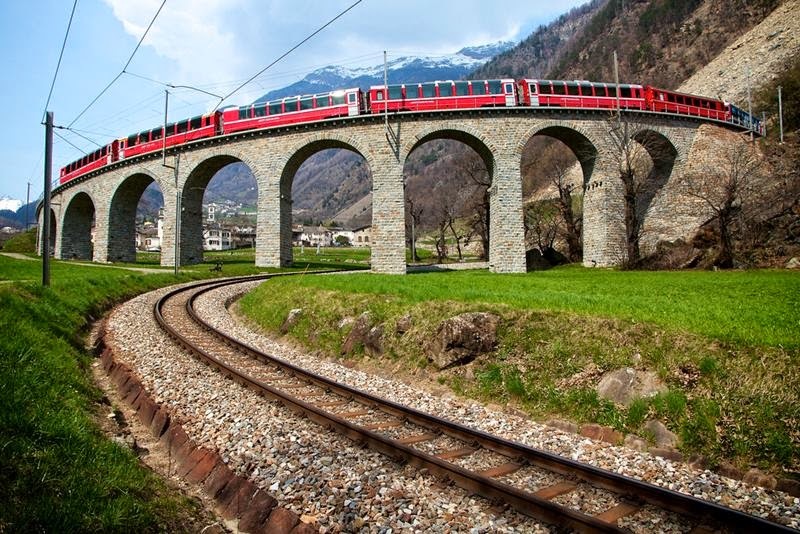 The viaduct was opened on 1 July 1908, upon the opening of the Tirano–Poschiavo section of the Bernina Railway. 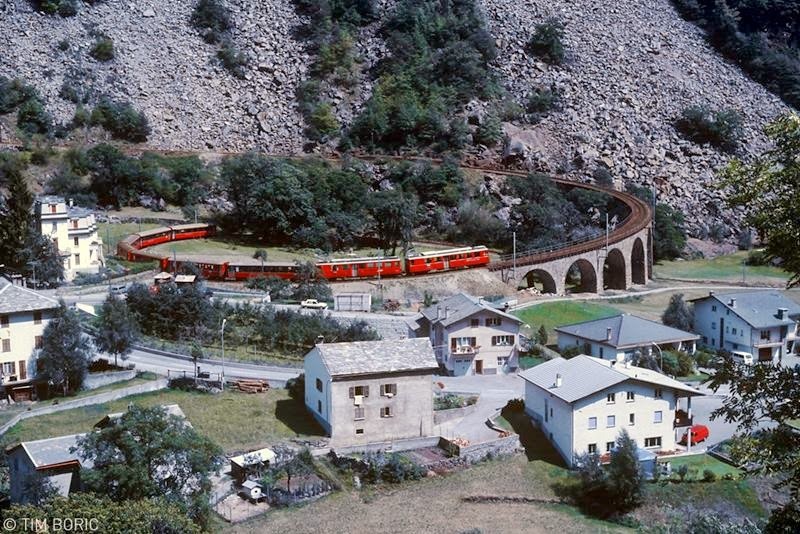 A spiral viaduct was required immediately south of Brusio to limit the railway's grade to the required maximum of 7%, so the train would not slip on the way up, or be uncontrollable on the way down. 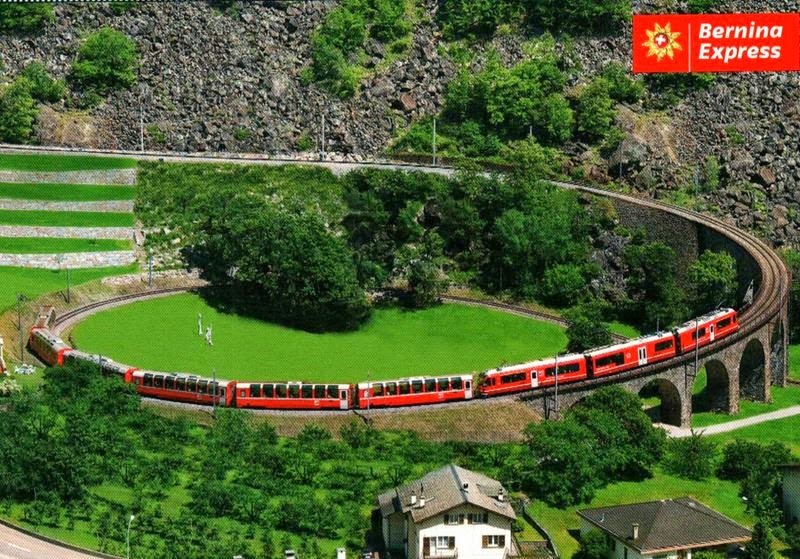 Geological factors prevented the boring of the spiral tunnel that had originally been planned. 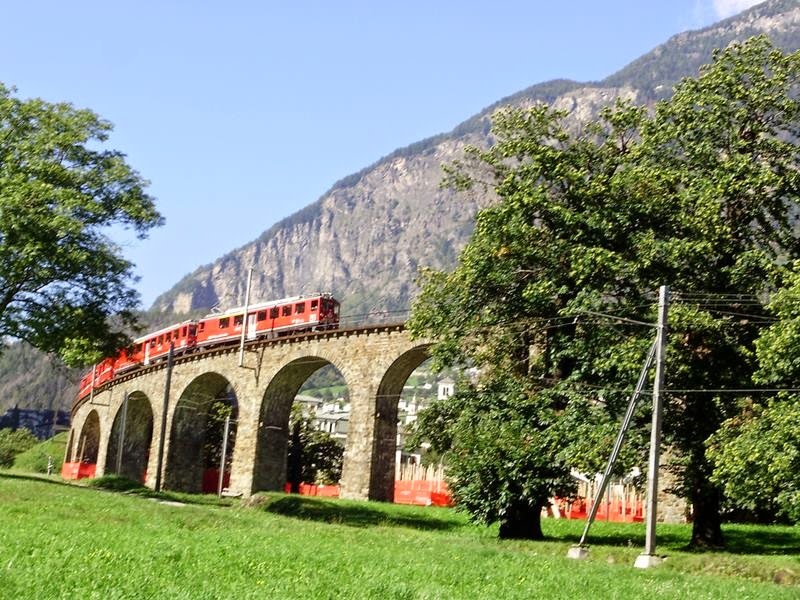 Engineers therefore decided to construct on the valley floor a 360 degree curve with a 50 to 70 m (160 to 230 ft) radius, and the viaduct forms part of that curve. 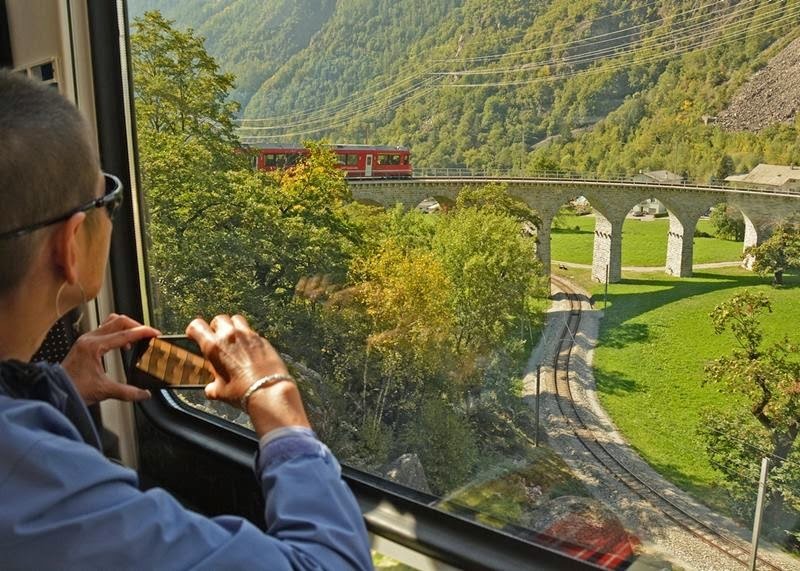 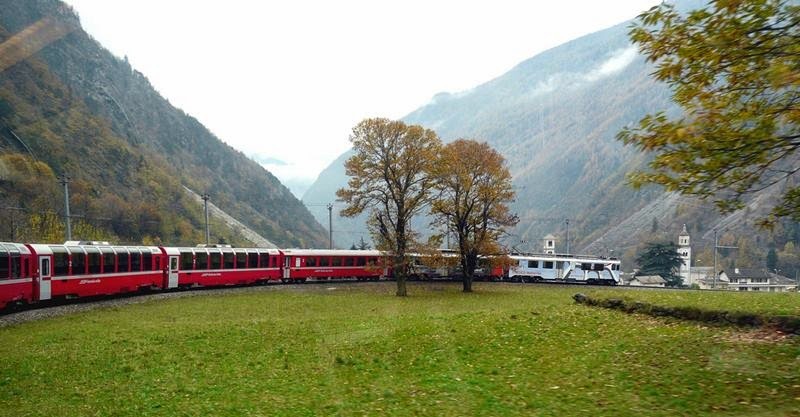 In 1943, the whole of the Bernina Railway was taken over by the Rhaetian Railway, which still owns and uses the spiral viaduct today.